This is it. The final piece of content in the Dead Rising 3 Season Pass. To say its been underwhelming would be an understatement, but we’re optimistic Capcom Vancouver can turn this around. I mean, surely they’re going to go out with a bang after three stinkers? Right? After several hours play, we’re happy (and sad) to say they’ve delivered exactly the quality of content we expected them to. The Last Agent puts us in the shoes of ZDC Agent Brad Park. The game begins with him waking up to see the hulking specimen of a central protagonist, Nick Ramos, hovering over him. 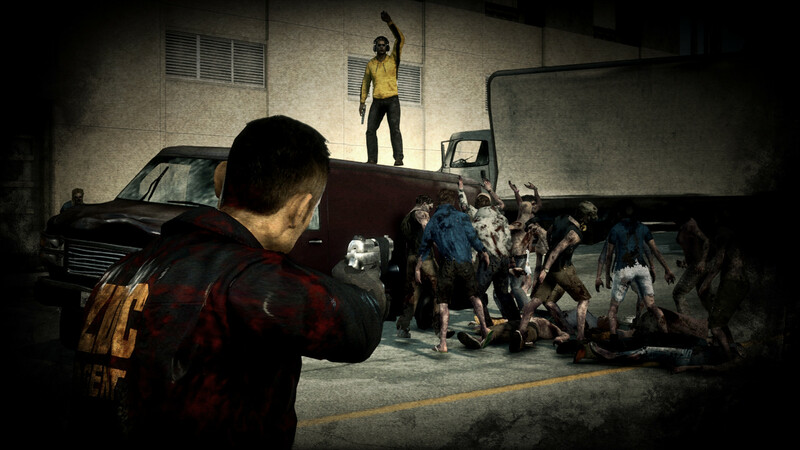 Taken from a later stage in the game, Brad is starting to feel the effects of the zombie infection take hold and Nick, who has caught him sleeping on the job, challenges Brad over ZDC’s values and goals, accusing them of killing people. Brad pleads ignorance and innocence in a moment of acting triumph that would rival anything in an Uwe Boll film. Conflicted, Nick injects Brad with Zombrex, curing him of his ailment and tells him he can do whatever he wants before climbing out of a window in super non-ninja stealth fashion. A disorientated Park is suddenly contacted by a doctor at a local hospital. She is surprised to get him on the intercom as he hasn’t been heard from in a while. She urges Park to come to her with a truck full of chemical supplies for purposes that will help with ongoing research. For science, if you will. And so it goes that the now cured Park must wade through hordes of infected, killing them with weird and wacky objects and perform a half dozen fetch and deliver quests like the other three protagonists in the Untold Stories of Los Perdidos. Alright, let’s just cut the chase. It’s another poor show from Capcom Vancouver. It’s not quite a series low, but it’s certainly no high. For starters, Park is an emotionless robot. This is an agent supposedly conflicted by the words of Ramos and the aims of ZDC and we get absolutely no indication of his thoughts and feelings. He just follows orders and kills things like a good boy. How are we meant to buy into a story when there isn’t one to buy into? And it doesn’t help that, once again, you’re expected to drive oversized vehicles around tight corners, break through broken roads – regularly getting put off course – and do complete circuits of the map just to complete one quest. It’s the same paint by numbers formula that has defined four supposedly story-driven pieces of content. And you visit the same locations all over again. After plunging hours in Dead Rising 3 and baring all four content packs, i’m tired of seeing the same old places. There’s hardly any diversity. It’s samey, repetitive and with the familiar mission structure, frankly, all four pieces of content have started to blur into one. Sure, the character models are distinct enough and their backgrounds give me enough to go on in terms of what impact they’re supposed to have on the world, but none of them have any identity, all of them are puppets and don’t seem to have a single unique thought to rub together. As far as i’m concerned, they’re all just overly crafted costumes for Nick Ramos because none of them have anything to suggest the contrary/. To prove my point. 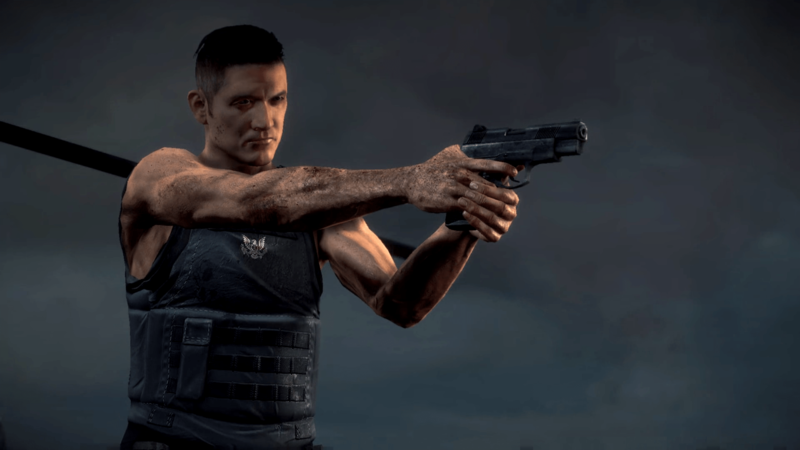 Play any of the Dead Rising 3 DLC packs, complete them, then play The Last of Us: Left Behind straight after, or pop on Shadowrun Returns: Dragonfall, or Bioshock: Burial at Sea Part 2. You’ll have forgotten whatever you were supposed to have been doing in Dead Rising, and all you’ll think about is the incredible character development the other pieces of content offer you. It’s embarrassing how poorly Capcom Vancouver have treated these content packs. And the gameplay is just as bad. The checkpoint system remains horrendous. One mission requires you to collect 20 chips from mutant zombies, asking you to go all the way around the map. But if you die, you’re starting over. Yep, no progress saved, you’ll need to do it all over again. If you collect them all and die before you hand-in? Guess what? You’re starting over. The DLC never delivers. It never surprises. It never engages. It just plods along until you get to the end. The development was clearly rushed to fill up the Xbox One’s release schedule. And considering the development of games over the last few years and ways we’ve learned to advance the medium, shoe-in, cash cows like this are simply unacceptable. The Impact Hammer was a tiny bit of fun and is a nice crowd-control weapon that lets you push back hordes of zombies with a button press. And it was nice to nuke zombies with the Pacifier for a while, but the mundane quickly sets back in and all good is soon forgotten. The best thing we can say is that we’re relieved the Season Pass is finally over and we don’t have to torture ourselves with any more of this drivel. Uninspired, underwhelming and completely unappreciative of those who’ve paid big bucks for the Season Pass. With a few fleeting moments of engaging content, there’s very little about The Last Agent – and indeed, the entire Season Pass – we can genuinely recommend.